We are sorry to bring you yet another piece of bad news, but something unfortunate has happened to the team and will cause us yet another loss in manpower and the amount of work we will be able to complete. The following announcement is in no way an attempt to smear our teammate's name, nor to cause shame to anyone, but rather, a transparent update of the ongoing situation that has happened for the past 2 years that Kokorogawari has been in production. Therefore, we hope that backers will read this and understand the reasons why Team Precatio will be doing what we have to for the next few months. While LaCal as been completing her editing work regularly, her progress with Guillam's route has been very, very slow. Right now, Guillam's route only has 2 chapters which have to be rewritten due to the huge difference in style of writing, and while Laramie had promised to finish Chapters 3 and 4 soon, they had been dragging for a long time, and she finally went MIA on 22nd Feb when Jyuuguchi asked for her to upload whatever work she had done as proof that something was actually being completed on her side. However, the Twitter IMs went unread, and the emails to her has not seen a reply. The amount of work she did for Guillam's route (2 incomplete chapters) in two years is definitely not ideal. We have sent an email to LaCal asking for a refund of the money she received from Kickstarter, or even a part of it so that we can channel the funds she received to other areas such as the artwork, but there has not been a reply from her. 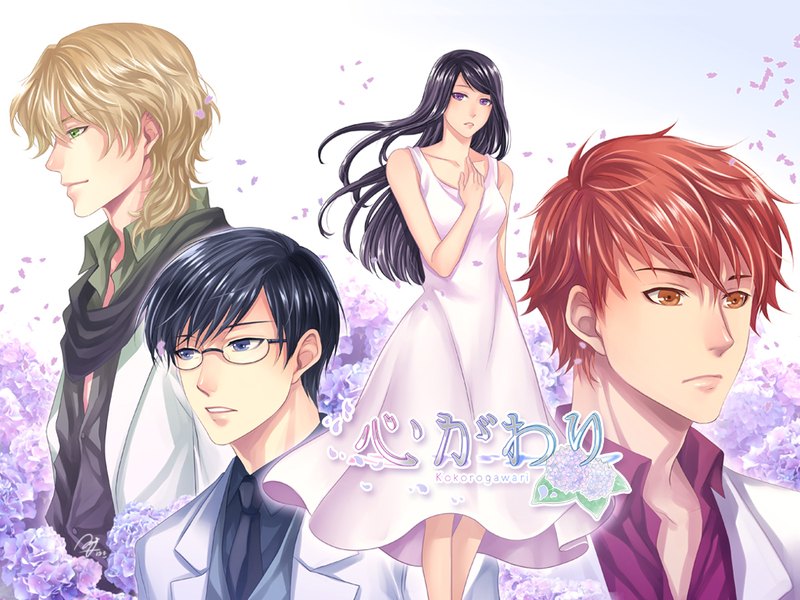 Therefore, it is with a heavy heart that we declare Laramie no longer part of Team Precatio, and since Guillam's route had been her responsibility, and is far from completion, we are sorry to announce that we will be taking Guillam's route out of our June/July release. As of now, Yuki has completed one custom backer's sprite, Haru and Jyuuguchi are working on scripting in sprites and music for Shinichi and Yuuya's route and Sechiruu is helping out with the miscellaneous art and working on creating more screen breaks for a more pleasant transition between scenes. The team now has only four members, but we are still striving to finish what we have started, so we hope that backers will understand that despite how this project has met with so many problems, we still want to make a great game, even if only 2 characters are playable! Once we have compleeted Shinichi and Yuuya, we will work on Guillam's route and release it as a patch. Please still look forward to Shinichi and Yuuya's routes in June/July! Last update before our release on Steam...! I hope you find someone who will be willing to work on his route. Good luck. I await the game's release no matter how long it takes. Thanks for the necessary update and sorry for the unfortunate news about writer and editor for Guillam's route. Please don't be disheartened by this setback but continue to deliver as you have with Shinichi and Yuuya's routes. Willing to wait and looking forward to the completed game! And my Old Deluxe Pre-Order always show as Standard Edition...Do something please.